There has been a surge in spending on Easter eggs by Irish shoppers. New figures from Kantar show in general, grocery sales in Ireland have slowed compared to 12 months ago. The data shows the market grew by 3.2% in the 12 weeks to March 24th. It said this was despite Easter falling three weeks later than last year, and the absence of the extreme weather - which provided an unexpected boost for some retailers in 2018. 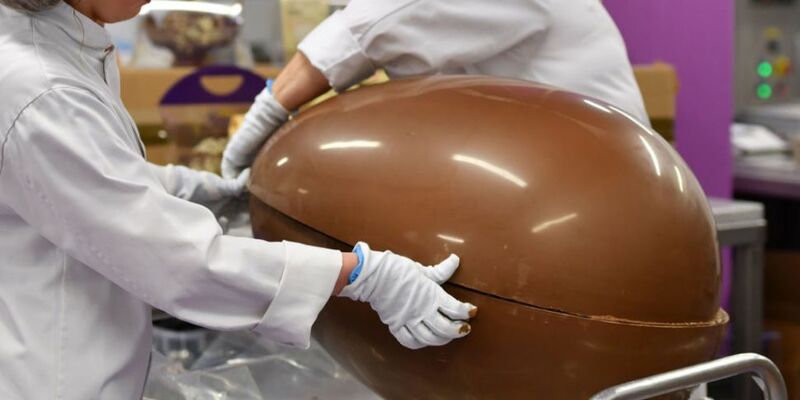 Over €15m has been spent on Easter eggs in 2019 - with 41% of these having been bought as part of a deal. Meanwhile there was a big increase in the sale of Irish breakfast staples across the St Patrick's Day bank holiday weekend. Many promotional campaigns focused on Irish breakfasts, which saw two-thirds of the population buying either fresh sausages, bacon rashers or black and white pudding. Alcohol sales in the week to March 17th were also up - with sales of beer, lager and cider hitting their highest point since the new year. With growth of 11.0%, Aldi was again the best performing retailer and now has a market share of 12.1% - breaking the 12% barrier in Ireland for the first time. Lidl saw sales rise by 6.2%, making it the second fastest growing retailer this period. It now accounts for 11.8% of the market, its highest share since August last year. Dunnes Stores sustained a strong performance and held its place as Ireland's largest grocer for the seventh consecutive period. In contrast to Aldi and Lidl, Dunnes' growth has been driven by private label sales, which went up by 9.2% over the past 12 weeks. Meanwhile, Tesco and SuperValu recorded a relatively flat performance compared with the rest of the market. 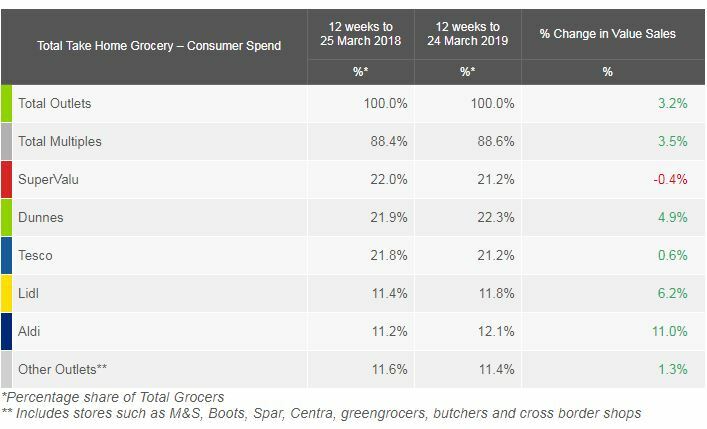 Douglas Faughnan, consumer insight director at Kantar, said: "If the early evidence is anything to go on, spring 2019 could be a bumper period for the Irish grocery market. "The late Easter hasn't stopped retailers promoting seasonal favourites - the holiday weekend is still two weeks away but already over half of Irish households have stocked up on Easter eggs. "So far the grocers have been focusing their efforts on multibuy offers to encourage shoppers to splash out a little earlier than they usually would.  "This has proven successful to date: over €15m has been spent on Easter eggs in 2019 and 41% of these have been bought as part of a deal."